oh and Hi everyone, I'm new here. I really like the village you've got at the top, it seems nicely laid out and uses various heights in an interesting way. I appreciate how everything is sectioned and compartmentalized, but also looks easy to navigate. Some of the other ones share a trait of having long, open borders. It's usually better to have smaller "doors" between areas, but keep it up? Are you planning on making a game? eliwolfe92, I came back to see your maps again, but the link does not work anymore. The link does still work. 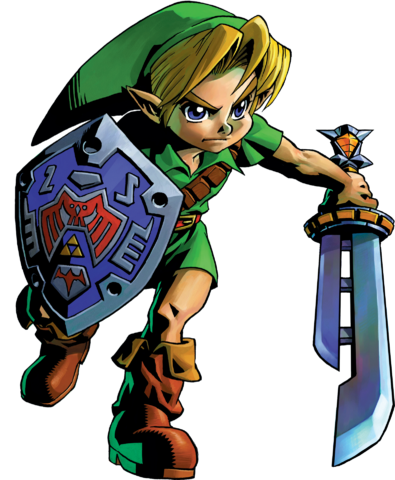 Note that the original link has 6 images, and I am only displaying one of them. Looks nice! I need to improve my mapping skills. As a side question, how do maps of this size perform? Especially curious for less powerful hardware like Android phones. Since each entity's "on_created" function gets called when the map loads, I'm guessing Solarus loads the entire map into memory at once (as opposed to rendering only the viewport, for example). 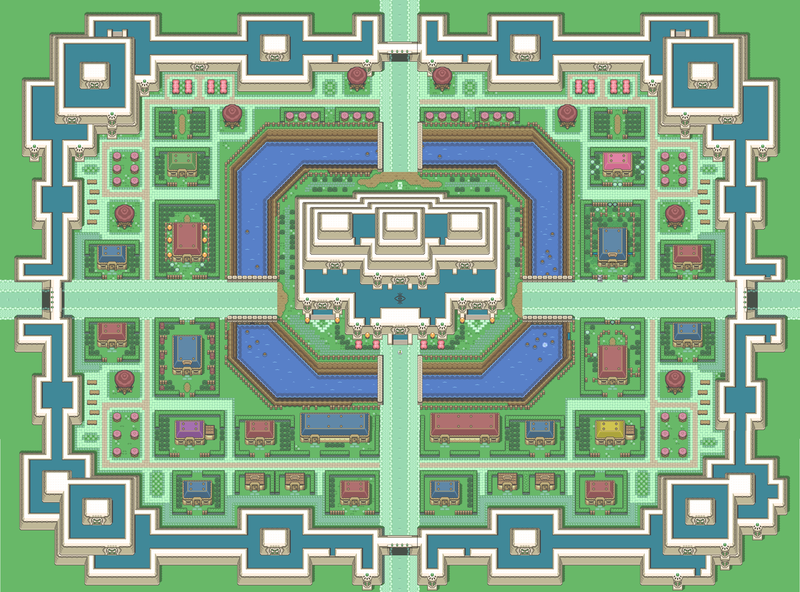 Another Map I've been working on, this time however I'm curious if performance would be rough on a map of this size? Could some 'tricks' perhaps be done to help performance? Any thoughts? I appreciate any feedback, thanks. Also please forgive the atrocious ms paint hackjob. Is there a way to somehow export maps as a .png or something along those lines? I'm sorry to hear you don't like it, it's definitely meant to be linear (or easier to navigate in this case since it's a rather large map) Thank you for sharing your opinion though, I appreciate the feedback positive or negative. I like the map. I see what you're going for. I like the concept of a large town with two broad paths bisecting it. It reminds me of Clock Town. You could probably improve it by making each of the quadrants distinct. 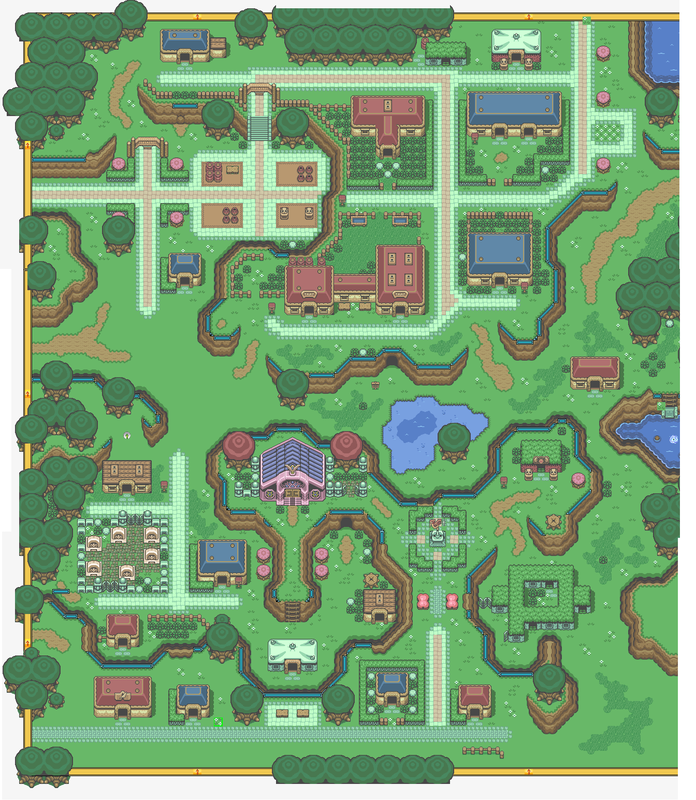 North Clocktown is basically a big park. Nature is important. East Clocktown has city-related stuff like the mayor's office and inns. West Clocktown has shops. Gotta get your goods from somewhere. South Clocktown is the hustle and bustle of the city. It's the main entrance to the city, has signs that say "welcome to Clock Town", and a giant monument the city is known for right in the center. So what's your story? Consider treating it like fanfic for a minute. On another note, you could add more variety to the map by having an extra level of elevation. I do like it, I just give you the feeling I had when I look at it. Wow, these are great! What's your general method been like for building these out? Do you sketch a rough layout, build out a tile set, and then recreate your sketch in the editor?